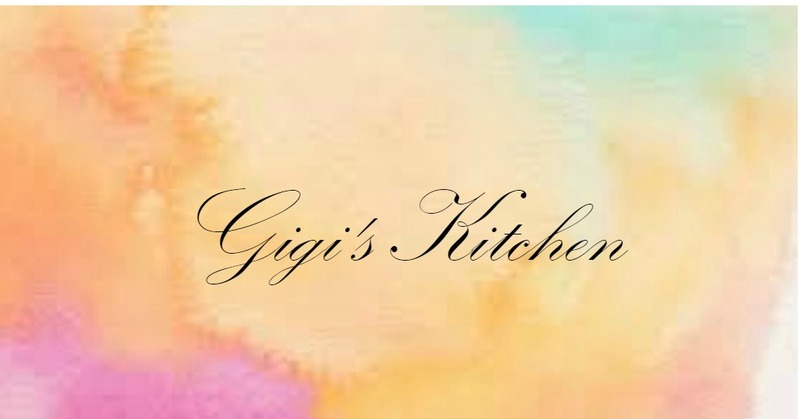 Welcome to the first ever Chanukah Blog Party that I am participating in here at Gigi's Kitchen, it is being hosted by Leah of Cook Kosher and Miriam of Overtime Cook. 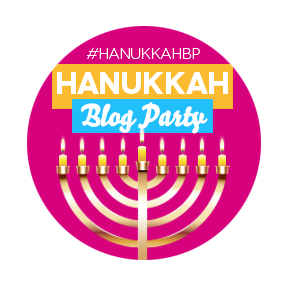 It's traditional on Chanukah to eat fried treats, most notably donuts and latkes, and we've got a fabulous array of Chanukah themed recipes, treats and crafts from Jewish bloggers all over the world! Make your chanuka meal planning easy & scroll down for links to all of the delicious treats & an exciting giveaway! 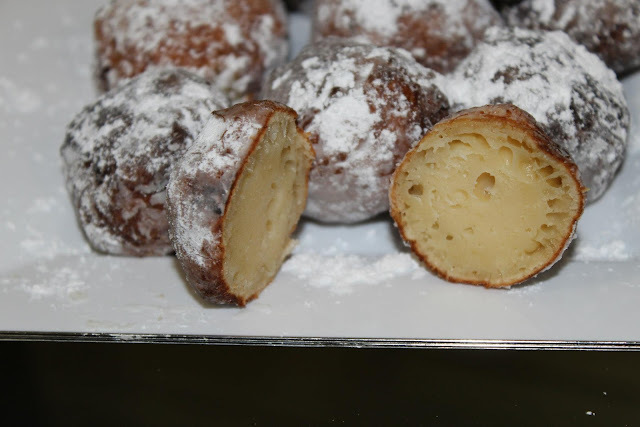 But first I want to share my own recipe with you today for these treats called Bunuelos. What are Bunuelos? 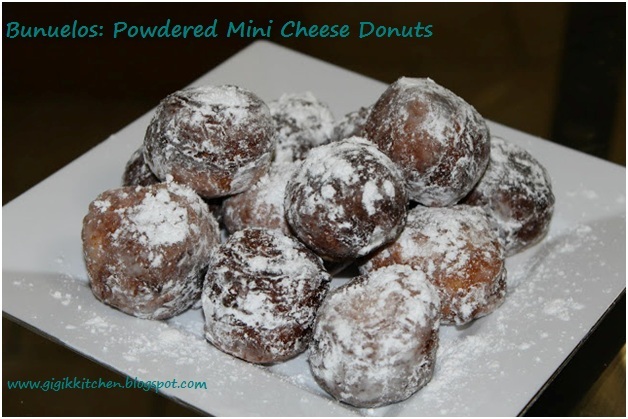 They are little Latin cheesy fried donut balls and they are a tiny bite of heaven. Don't get me wrong I am the biggest fan of all those delicious classics. This year I wanted to try something a little different and inspired by that Latin delicacy, I came up with this. They remind me of the 5th grade- Mrs. Gross had us make a class cookbook for Chanuka and my contribution was a cheese ball recipe. I guess I've just liked that idea ever since. The great part with these is that they took me less then 20 minutes to prepare and weren't complicated in the least and that's coming from someone who is hardly a professional baker. If you are looking for a soft, sweet baked delight to serve this Chanuka which will easily impress you guests then you will want to give this recipe a try! 1. Place the cream cheese, white sugar, brown sugar, cornstarch, egg and salt in the bowl of a blender or mixing bowl. Blend or combine with clean hands till a dough forms. If it seems a little sticky add a little more cornstarch. 2. Take off a pinch of dough at a time and roll it into 2 inch sized balls. Lay them out on a parchment paper lined baking sheet until ready to fry. 3. Heat the oil in a medium non stick frying pan. Once sizzling lower the flame a little and drop the dough balls in about 5 at time. Let them fry for 5-7 minutes or until they are golden. 4. Roll them in powdered sugar while they are still warm. and serve! If you do bake these please send me a photo with facebook, instagram, twitter or by email I would love to see how they came out!! How to enter: Leave a comment on this post [Let me know what you will be cooking this holiday or what your favorite part of Chanuka is anything at all I love to hear from you!]. Hope you are all having an amazing Chanuka!